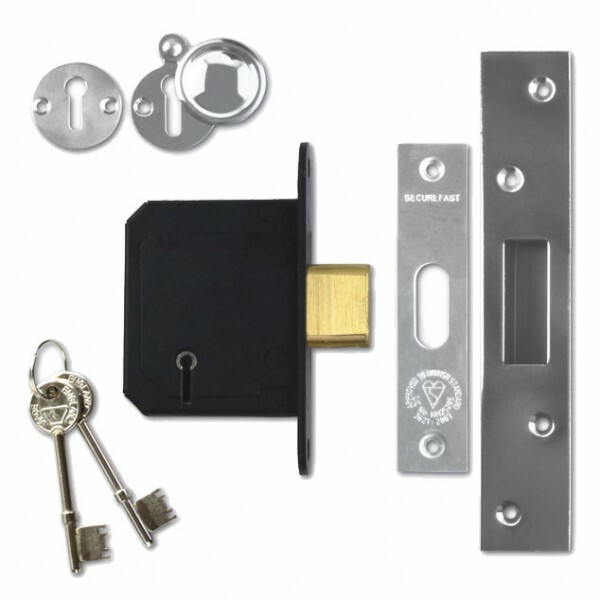 Securefast SKD Deadlock is supplied with matching escutcheons. Deadbolt is locked or unlocked by key from either side. 5 Lever Mechanism. British Standard (BS3621:2007). Can be keyed alike with Securefast SKS Sashlocks.